Once an age, a mythic wind lifts the veil between the spirit world and ours. Whimsical seraphs, drawn to the vigor of an ancient forest, descend through clouds to once again take up their centennial game. You are one of these seraphs – a being of great power and curiosity. The life of the forest fascinates you, and you eagerly gather plant, animal, and sprite alike to add to your mystical menagerie. But beware, for you are not alone. Other beings just like yourself contest to collect the life of the forest as well! 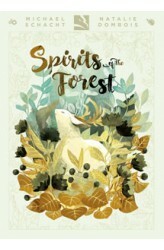 In Spirits of the Forest, players represent the four elements that nourish the forces of nature. Up to four players compete to acquire the most (of nine different) spirit symbols, which are bound to a different element of nature. Each turn, a player drafts up t..
"There was something formless and perfect before the Universe was born. For lack of a better name, I call it the Tao." 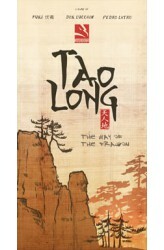 —Lao Tsu Tao Long: The Way of the Dragon is a circular abstract-like game in which each action taken leaves different options for your foe. In it, each player controls a dragon striving to diminish the other whilst bound together by the Tao; you manipulate tokens on a special board in order to activate your dragon, leaving that same board to be manipulated by your opponent on their turn. Among customizable scenarios and increasingly profound modes, both dragons will move, attack, block each other's way and seek dominance. At the end, there can be only one... that is, at least until the tides of change come once again. https://www.youtube.com/watch?v=4Bk..